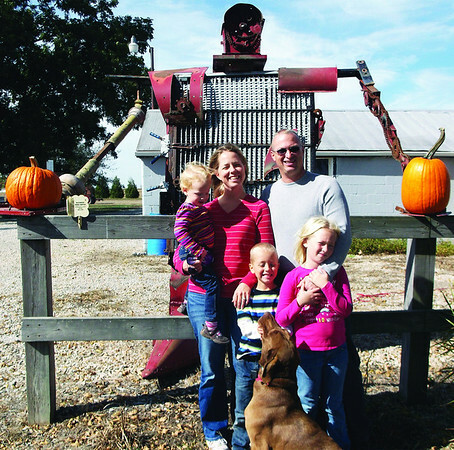 Heath McCormick built a large robot that stands in his yard just off Route 32 south of Stewardson. Heath is pictured with his wife, Autumn, and three kids (pictured from left) Lorelei, 2, Ross, 5, and Claire, 8. Also in the photo is the family dog Zeba.